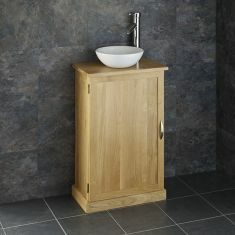 Handmade craftsmanship is what our CUBE range of Solid Oak Cabinets is all about. 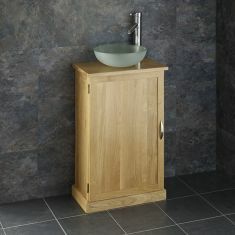 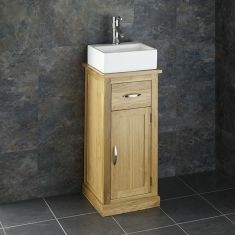 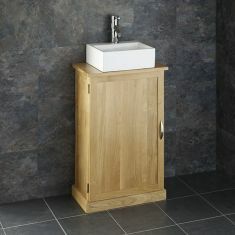 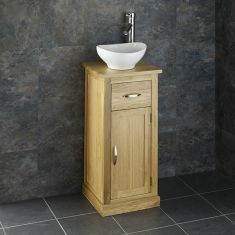 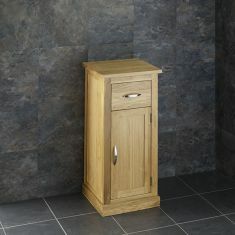 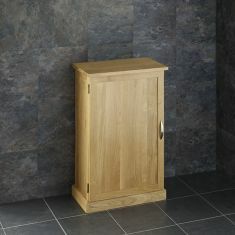 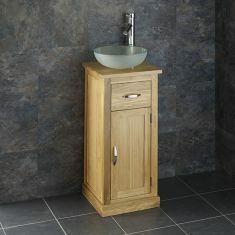 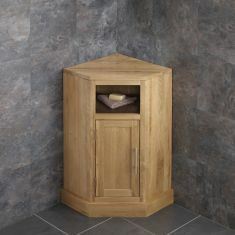 A complex structure of interlocking legs feet and cabinet give all the models in this range a very modern look and feel. 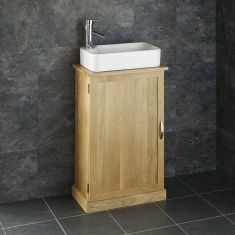 Complimented by many for the sleek design and contemporary style the choice of basin can add to the overall feel of a high quality, modern showpiece. 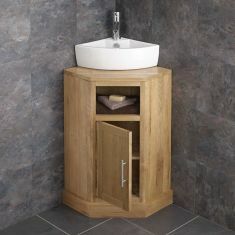 From single door, through space saving corner cabinets, all the way through to the signature double basin, double width cabinet, there is something in the CUBE range to suit the smallest up to the largest bathroom. 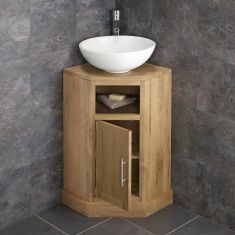 All items in this range are designed by our team, and hand crafted to our specification, stored in our warehouse and ready for immediate FREE delivery.